WASHINGTON, D.C. -- Renowned actor and humanitarian Gary Sinise will receive the 2015 Service to America Leadership Award from the NAB Education Foundation (NABEF) for his ongoing commitment to raising awareness and support for veterans. 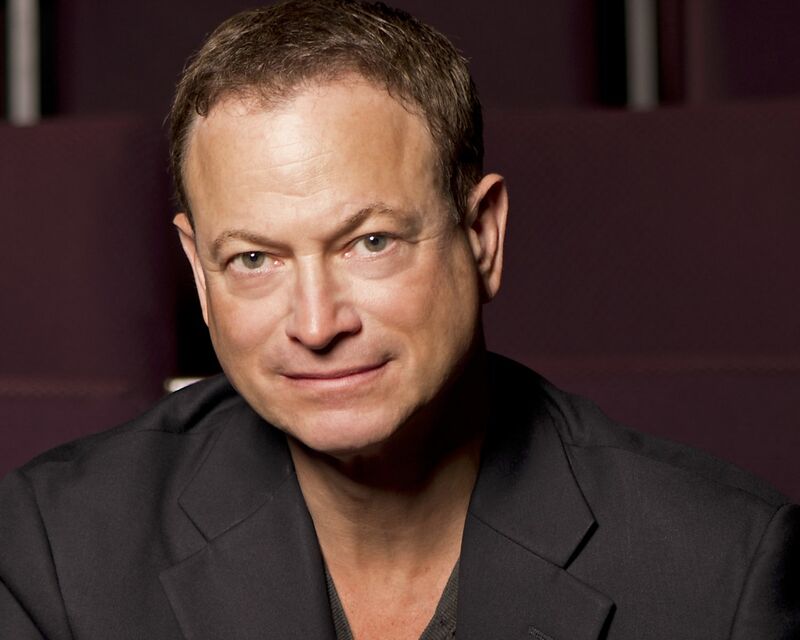 Sinise will receive the award at NABEF�s Celebration of Service to America Gala on June 16. The Service to America Leadership Award recognizes individuals and organizations responsible for improving the lives of others through extraordinary public service. Considered NABEF�s highest individual honor, the award will be presented during the Celebration of Service to America Gala held Tuesday, June 16 at the National Building Museum in Washington, D.C.
After graduating high school, Sinise co-founded the Steppenwolf Theatre Company of Chicago, where he worked as artistic director for seven years. While there, Sinise appeared in numerous productions, such as �The Grapes of Wrath,� for which he received a Tony Award nomination. In 1994, through�his portrayal of Lieutenant Dan, a double-amputee Vietnam-era soldier in��Forrest Gump,� he began supporting wounded service members working with the�Disabled American Veterans, a relationship that�has lasted more than 20 years. The role earned him both a Golden Globe and Screen Actors Guild Award nomination, Commander�s Award from the Disabled American Veterans, Best Supporting Actor Award from the National Board of Review and an Academy Award nomination. In addition to a variety of roles on and off the screen, Sinise had starring roles in �Apollo 13,� �Ransom,� and �Snake Eyes.� Most recently, Sinise starred as Detective �Mac� Taylor on CBS�s �CSI: NY.� He will be starring in the new CBS drama "Criminal Minds: Beyond Borders," set to premiere in the 2015-2016 season. Sinise�s advocacy for veterans began in the early 1980s when he created �Vets Night� at the Steppenwolf Theatre. The program, which invites veterans to a free dinner and performance, continues to this day. After the September 11, 2001 terrorist attacks, Sinise volunteered with United Service Organizations and began visiting troops in Iraq and around the world. In February 2004, Sinise formed the �Lt. Dan Band.� Consisting of 12 members, the band performs covers for troops at home and abroad and has helped raise millions of dollars for military charities. Additionally, he co-founded Operation Iraqi Children, which eventually evolved into Operation International Children. The program collected much needed school supplies that were then delivered by American troops. Sinise�s lifelong commitment became fully realized when he officially formed the Gary Sinise Foundation in 2011 with the mission to honor defenders, veterans, first responders, their families and those in need by creating and supporting unique programs that inspire and strengthen communities. One such program is R.I.S.E (Restoring Independence and Supporting Empowerment), whose flagship initiative is a custom Smart Home building project for severely wounded veterans. These one-of-a-kind homes are being built all across the country, each for a wounded hero, their caregivers and family. Other Foundation programs include Relief & Resiliency Outreach, Invincible Spirit Festivals, Serving Heroes and Arts & Entertainment Outreach.